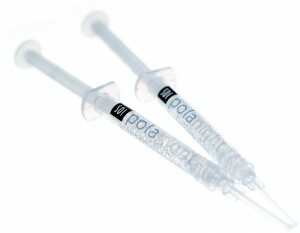 Here at our practice near Kidderminster, Worcestershire we use Polanight tooth whitening gel. The tooth whitening gel contains a desensitising agent which acts on the nerve endings of the teeth minimising sensitivity and maximising patient comfort. Its neutral pH ensures the full release of the bleaching peroxide without affecting your comfort.